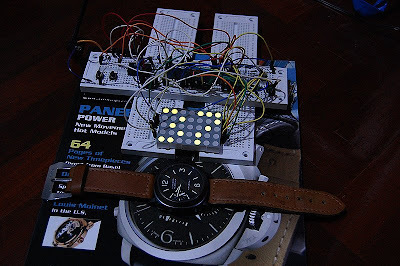 Actually, I have made this long before the 5x7 led dot matrix clock. 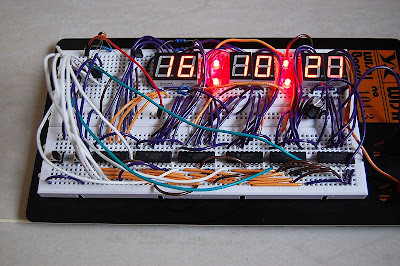 The clock utilizes a PIC16F627A and a 74HC595 to drive a small 8x8 Led Dot Matrix display (20x20mm). My dream is transforming these clocks to watches that I can ware on my wrist. 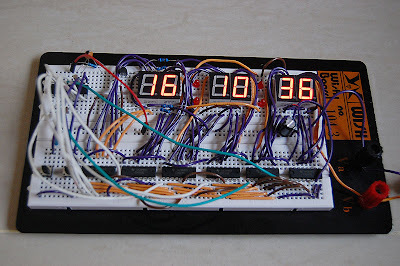 The prototype of the 7-Segment PIC Digital Clock. 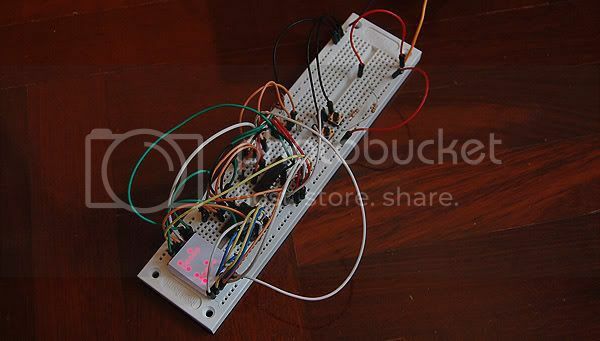 Check out 7-Segment Digital Clock for the schematic and source code. As I don't have DS1307 in hand, so I test my code with Proteus ISIS simulator. 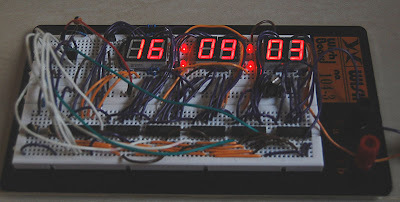 The image shows the working clock. 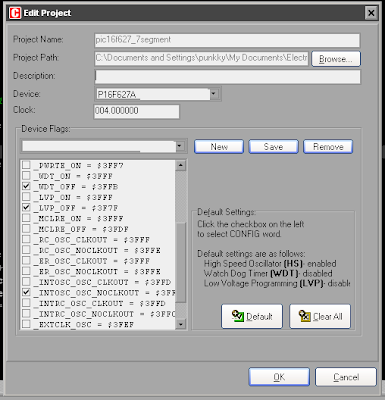 Click on the image for big image. 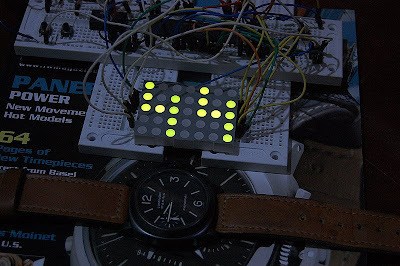 Now, I'm so crazy about led dot matrix clocks and led dot matrix watches. Just recently, I have upgraded my small 5x7 Led Dot Matrix Clock with a bigger green 5x7 led dot matrix display and a new font. For the images below, the time 21:44:37 was displaying on the clock. The clock display is big comparing to a 44mm Panerai (PAM 4).